The two know each other well from their multiple playoff battles: In each of the last of the last three seasons, they’ve battled it out, with Snyder coming up victorious in 2017 against the Clippers and Paul winning last year in the second round. But there’s also their shared time on the NBA’s competition committee, including the meetings last summer that resulted in the NBA instituting new points of education on player freedom of movement. The “coach on the floor” description is a tired cliche, but it’s one that fits Paul more than any other current NBA player. For Paul, every stoppage in play is an opportunity to talk to one of his teammates about something he saw on the floor, something they can use in an upcoming possession. In fact, Paul did it so much in his Clippers’ tenure that he ended up getting on the nerves of some of his teammates. Former Clippers center DeAndre Jordan was reportedly “tired of Paul’s constant barking," according to a 2015 ESPN article. These Rockets, though, seem to appreciate Paul’s influence. James Harden and Paul frequently communicate, whether it’s about the nuances of the Jazz defense or the bigger picture of a playoff series. “James and I were in the locker room talking about this just now: If you win, you feel like you’re never going to lose again, and if you lose, you feel like you’re never going to win again,” Paul said. Of course, that’s not true. 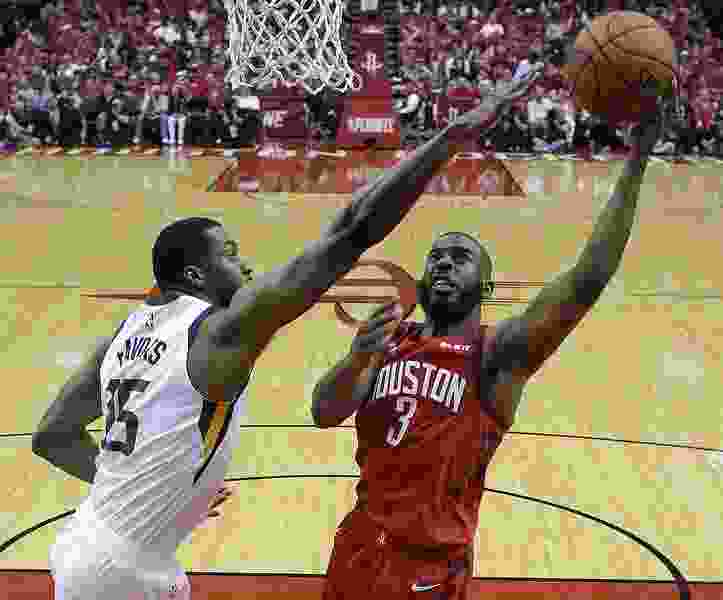 That’s something that the Jazz clearly showed last year — after losing Game 1 to the Rockets in similar blowout fashion, Utah came back to steal Game 2 with a new and improved game plan. And it’s that ability to make effective adjustments that gives Paul confidence that this will continue to be a series. “I really like playing against him. That’s why this series right here is a big series, because I know that they’re going to be prepared every night,” Paul said. That being said, while Paul appreciates Snyder’s kind words about his smarts, he was wary of an ulterior motive. “Tell Quin I’m not a free agent anymore,” Paul laughed.